I provided "working examples," which might make the codes easier to understand because you can see them in action. (Keep in mind that when you type html tags, the effects won't be visible until AFTER you hit "Preview" on your comment, journal, etc. I only made them visible for the purpose of demonstration.) Enjoy!!! comments, deviation descriptions, journals, and profile page widgets. This will make bold text. This will also make bold text. This will make italicized text. Apr 10, 2019 Kinda inactive? CMichael99 has started a donation pool! Hey, this is my first journal so imma get this straight. I will not be able to post anything till the beginning of july. And because of that I can't upload any deviations/adoptables/commissions/participate in contests etc. So idk, I will only be active to llama/fav/browse/comment. Well, that's pretty much it lmao. 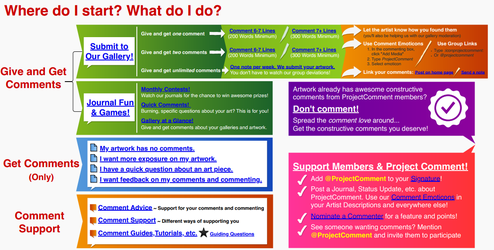 Send the points through the commission widget and then you can free download the file. Do NOT download the file WITHOUT PAYING!